In 1910, the first delivery to Japan was made. The exports reached record levels with deliveries to the British Empire making up 45 % of the total production. 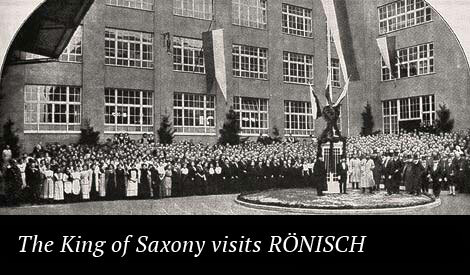 At that time, Rönisch produced 3000 instruments annually and employed 370 people. World War I was tragic time for the Rönisch Company and family. Albert died in 1917, Hermann lost his only son. The factory in St. Petersburg was lost due to the Russian Revolution. In 1918, Hermann Rönisch sold the company to the Ludwig Hupfeld AG company although he remained the manager of the Rönisch factory in Dresden. He died in 1925. 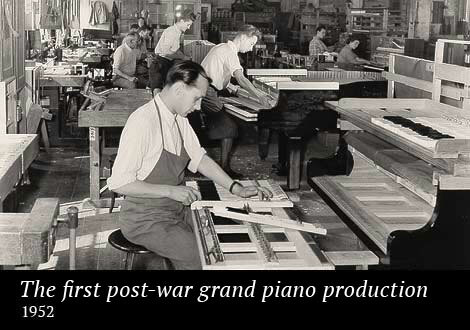 The economic crisis of the thirties and the World War II almost brought to an end the production of pianos. On 13th February 1945 the Rönisch factory in Dresden was destroyed during bombing raids and was not rebuilt. The original factory of Ludwig Hupfeld in a suburb of Leipzig, which survived the war almost unscathed, became the new home for Rönisch pianos. At the turn of the century, Rönisch had become a leading brand known the world over. Famous artists including Hans von Bülow, Richard Strauss, Edvard Grieg, Giacomo Puccini, Anton Rubinstein, Sergej Rachmaninoff and many others played Rönisch grands and uprights. In 1901, the Rönisch Company was named Imperial Purveyor to the Emperor of Austria and Hungary. 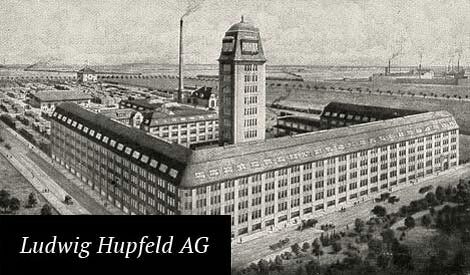 One year later in 1902, a cooperative agreement with Ludwig Hupfeld began. 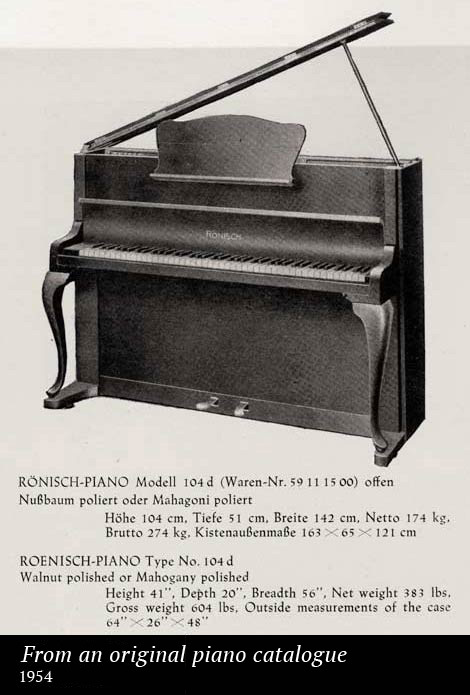 Rönisch supplied grand and upright pianos while Hupfeld installed the pneumatic instrument (Pianola). 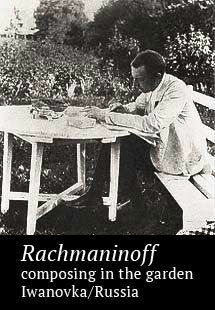 A close relation between RÖNISCH and Sergej Rachmaninoff continued as he spent three winters in Dresden with his family from 1906-1908. 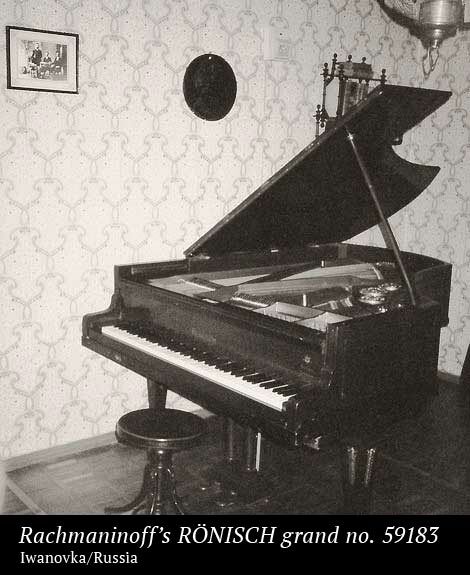 His Rönisch grand with the serial number 59183 is displayed today at the Rachmaninoff-Museum in Iwanovka Russia, the former country estate of the family. 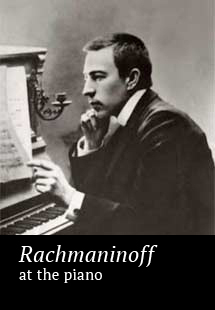 Among other works, Sergej Rachmaninoff composed his world-famous 3rd Piano Concerto on this Rönisch grand in 1909. On 5th June 1945, the company started again from scratch with 50 workers who had to produce containers for marmalade, pasteboard suitcases and handcarts, under the direction of the Allied Military Command. The dismantling of the factory started as part of the reparation payments to the Soviet Union. 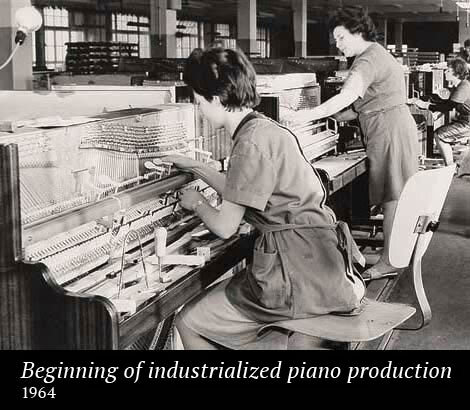 In 1946, the "Leipziger Pianofortefabrik" was established. Regardless of the name, piano production was unimportant, furniture was the main item. 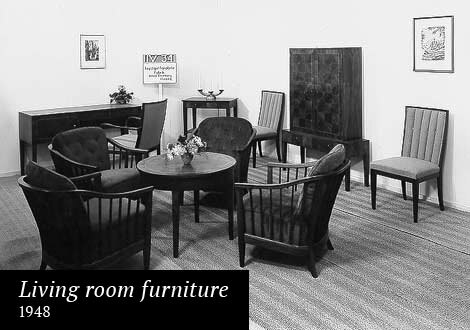 Finally in 1948, the piano production was re-started with 13 instruments and the first Rönisch piano after the war was exhibited at the Leipzig Trade Fair with living room furniture. In October 1949, the first export after the war was achieved, five pianos were sent to Mexico. In 1952, the first 10 grand pianos were produced. 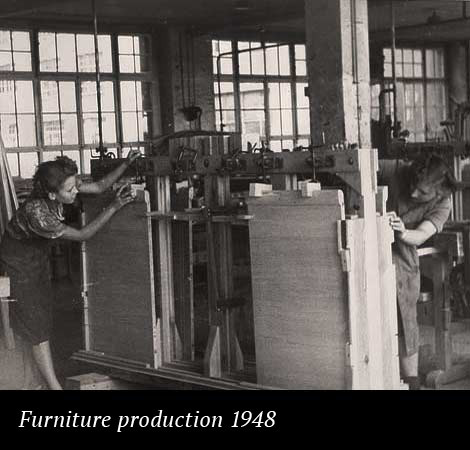 Already two years later in 1954, the total production reached the level of 720 pianos per year but the main product line was still furniture for schools, living rooms, and bedrooms. 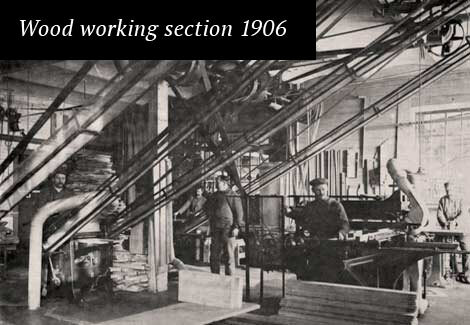 Pencils and sports gear also were manufactured. 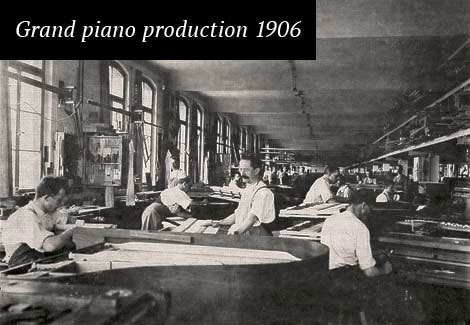 It was not until 1960 that the company concentrated again on its core business of piano building and then reached an annual production of 2000 pianos. 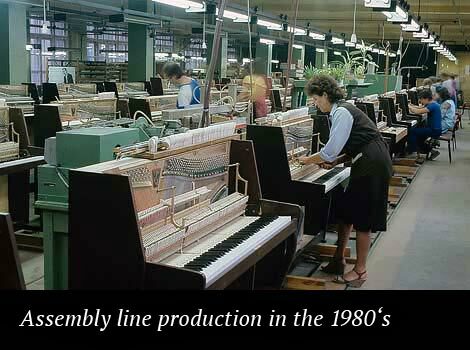 In 1964, the industrial production started with the installation of an assembly line for 220 pianos leading to a volume of 4170 upright pianos and 144 grand pianos. Due to the growing demand especially in export, an increase of the production capacities was required. In 1967, the "VEB Deutsche Piano-Union Leipzig" was established with merging of two piano factories and the amalgamation of two companies which produced keyboards and actions. 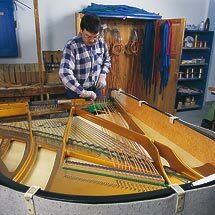 In 1978, the Rönisch factory (plant 1) reached a volume of 7810 pianos by concentrating on upright pianos and the production of grand pianos was moved to a new site (plant 5). 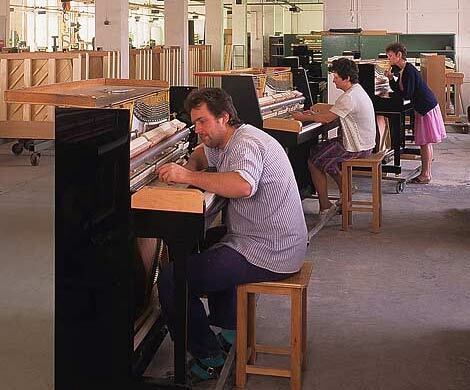 In the mid 1980s the "VEB Deutsche Piano-Union Leipzig" achieved its greatest expansion and produced 21000 upright pianos, 1300 grand pianos as well as 350 harpsichords and spinets. It was a combination of 7 piano factories and 6 factories for the supply of actions, keyboards, soundboards, cabinets, metal parts, and iron frames. 3300 people were employed and the "VEB Deutsche Piano-Union Leipzig" with its 13 plants became the largest manufacturer of pianos in Europe. 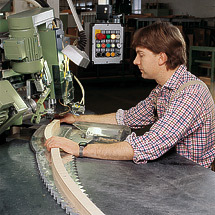 In 1986, the annual production of the RÖNISCH factory reached 8600 upright pianos which were produced by 240 workers. 90 % of the production was exported worldwide. The former state-owned combine "VEB Deutsche Piano-Union Leipzig" was dissolved. The Rönisch factory as parent location and headquarters was re-named "Leipziger Pianofortefabrik GmbH" again, and had a slow and difficult time under the very different conditions of the free enterprise system, but it succeeded. 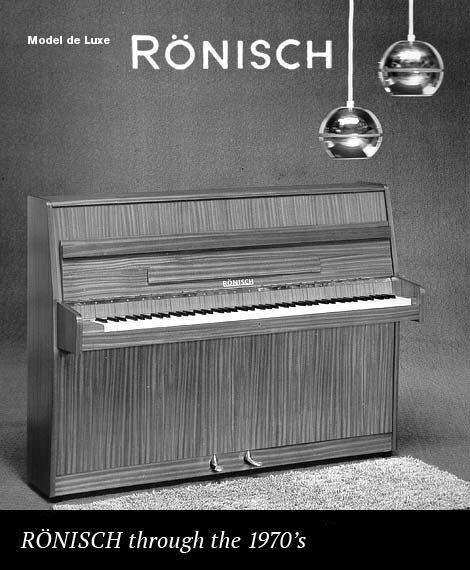 After decades of mass-production, Rönisch turned back to its origins by emphasizing creativity and quality. In 1992, the reorganization of the production process and the re-designing of the product range were completed. An unparalleled marketing campaign secured stable market shares in both the domestic and international markets. Instruments made by Rönisch have again become a quality and respected brand and this is recognized in all countries of Western and Southern Europe as well as Scandinavia. Next, the company expanded its sales into the Far East. In some countries, it became the leading German piano producers. Almost 70 % of the production was exported. 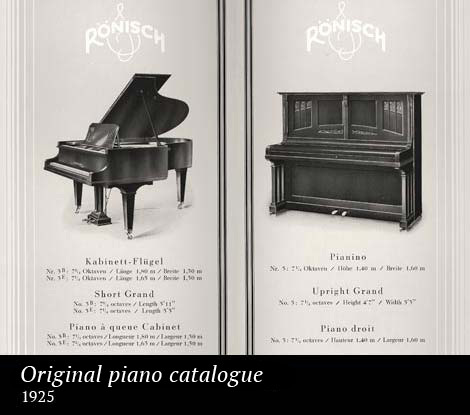 In 1994, cooperation agreements with some up-market brands were entered into with the Rönisch Company building semi-finished and complete pianos under various names. On the occasion of this important anniversary the production of grand pianos recommenced. In 1999, the product range widened with 4 types of upright pianos and 2 styles of grand pianos being offered in 103 variations. A second export drive re-opened markets in Australia, New Zealand and USA.